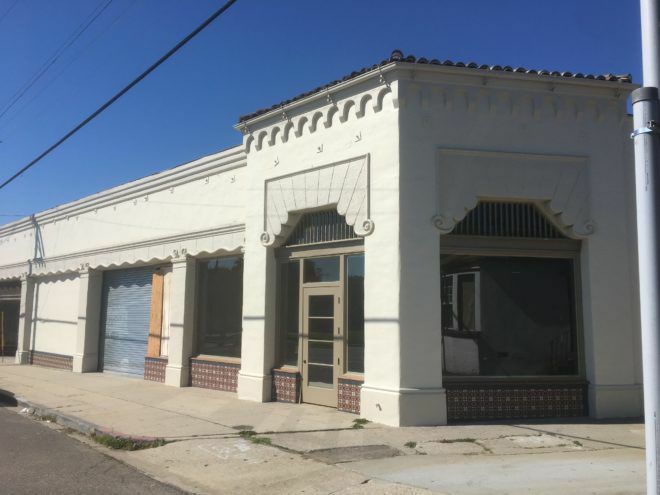 Glassell Park —The renovation of a nearly block-long Spanish Colonial commercial building has attracted tenants planning to open a bar, microbrewery and a restaurant, according to filings with the Planning Department. 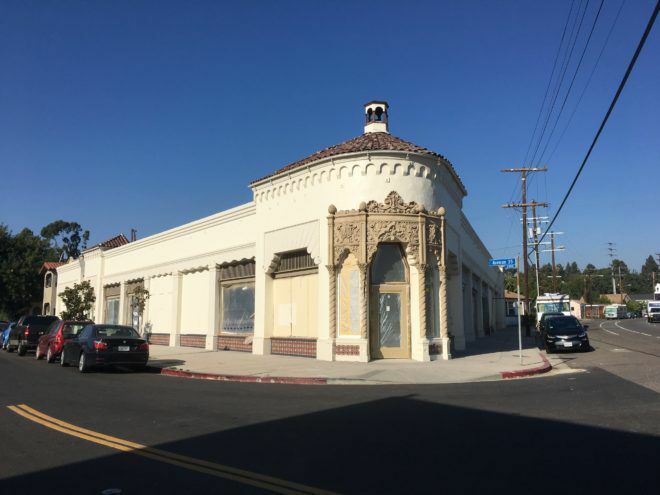 The restoration of the one-story building at Eagle Rock Boulevard and Avenue 35 has involved the installation of large storefront windows, tile and other decorative elements. In recent years the approximately 13,000-square-foot building constructed in 1931 has been home to a variety of commercial tenants as well as art spaces. Now, persons connected with Bar Bandini in Echo Park — Michael Lippman and Joshua Weinstein — are seeking city permission to open a 61-seat bar with patio at 3507 Eagle Rock Boulevard. The owners would also like to operate the bar from 10 am to 2 am daily, which is longer than currently allowed. Meanwhile, next door in the same building, a microbrewery and restaurant are in the works, according to another Planning Department filing. The applicants seeking city approvals for the project are Archie Carey and Cyrus Eternad, according to the Glassell Park Neighborhood Council’s Planning & Land Use Committee. It appears that Carey is one of the founders of Highland Park-based Solarc Brewing. Is there room for more new tenants in this building? We will keep you posted.